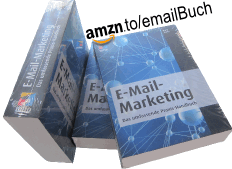 ← Double opt-in in Germany – is it legally mandated? The X-squared test’s p-value is about 4.96%. Fortunately, it’s smaller than the “alpha” we chose, namely 5%. Thus, we can (statistically) be 95% confident in not falsely seeing a dependency between subject line and email opens. The false positive error represented by alpha is also called type I error. Now, there’s also a type II error. It’s called “beta” and quantifies the false negative risk. That is the probability of falsely seeing no dependency between subject lines and email opens. Where we call 1-alpha the confidence, 1-beta is called the test’s statistical power. You can view it as the chance of discovering a significant result. Some rules of thumb: The smaller (bigger) the alpha (confidence) and beta (power), the higher is the required sample size “n”. Furthermore, n depends on the expected effect size of our subject line variation. In email marketing, we are mostly dealing with small effect sizes of about +/-10% when testing opens, clicks, and conversions. Sometimes we see medium changes of maybe +/-30%. Anyway, proving small effects demand for greater sample sizes than measuring large ones of +-/50% and more. Down to business: Calculating cell sizes! and power (statistical power, 1-beta). The function invites to play with it: set one parameter to NULL and power.prop.test will automatically calculate the missing one from the other three parameters that you specified. What does this mean? Well, with 1,000 observations per subject line group, there’s only a 50% chance of revealing a difference between 0.341 and 0.300 as significant on a (two-sided) significance level of 5%. That’s not much. Many significant results could slip us away unseen. We would have to include 4,066 recipients in our test – more than twice as many as before (2 x 1,000). What, if we (1) accepted a greater type I error of, let’s say, 10% and (2) if we’d additionally be a little bit more optimistic concerning the effect size of our subject line impact – e.g. +33,34% more opens instead of +13.67%? In the end, we could try our subject lines on 562 recipients – 281 per test group. But we would assume a significant result falsely in one out of ten tests (alpha = 0.1 = 10%). What to choose for each parameter? Well, the setup depends on you. …you’d suffer statistical power. A clear winner might fly under your radar at a 64-51% risk (depending on your alpha risk). One solution would be to repeat the test on another sample from your list (ceteris paribus): e.g. same subject lines, different 561 recipients. The trick is to sum up the resulting X-squared values and their degrees of freedom from each test. It’s possible due to the additive property of chi-square. Then compare the sum of Pearon’s aproximated X-squared to the critical X-squared value from the theoretical distribution for the corresponding degrees of freedom and your desired confidence level. What if we got 28.3%/34.6% open rate in test #1, and 27.1%/35.2% in test #2 – can we safely assume a subject line impact for the whole test on a 5% significance level? “TRUE” means “yes, we see enough evidence to assume a significant result for both tests” and for the experiment at a whole. Although individual experiments delivered different results. This entry was posted in english and tagged datamining, R, Test. Bookmark the permalink.